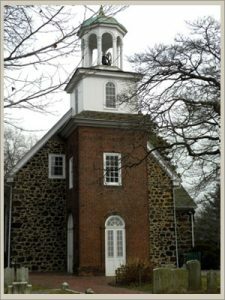 The Seaford chapter of the DAR is the only Delaware chapter bearing a female name. The founding members of the chapter selected her name since seven of them were in her ancestral line. Born August 20, 1756 to John Vining and wife, Phoebe Wynkoop, Mary Vining was known as the “Belle of Delaware,” perhaps one of the most beautiful women in the colonies during the time of the Revolutionary War. Her wit and charm won her notoriety throughout the colonies and abroad. Her cousin, Caesar Rodney, influenced her to support the revolt from England and she frequently served as hostess for Rodney in Philadelphia. While entertaining British officers, she would extract important military information from them and relay it to her brother who was in the Continental Army. Legend has it that during this time she met and fell in love with the Revolutionary War hero, General Anthony Wayne; also known as “Mad Anthony Wayne.” Unfortunately, Wayne already had a wife and family in Philadelphia and did not ask for Miss Vining’s hand in marriage until after his wife died. 1 Based on Wright Robinson’s article in The Leader, March 23, 1988.